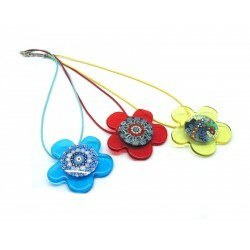 50% off for wholesalers and retailers! 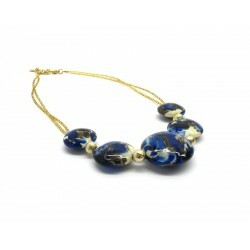 Discover our necklaces in original Murano glass! 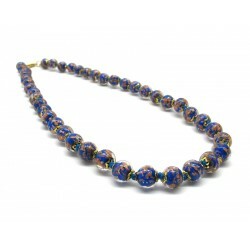 Order now online the venetian made in Italy! 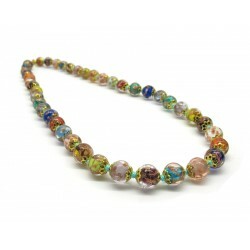 Murano Glass - Necklaces: the art of the Venetian murrina is here for you to find it. But this is not just another promotional sentence. Indeed, we've been giving you all an unbelievable number of products over the years. 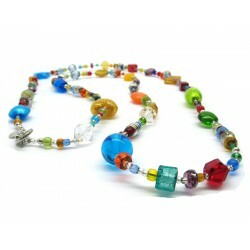 In this section you will find a beautiful collection of necklaces, all strictly made by hand, where every single detail represents a precious element, the same that will allow you to elevate yourself, gifting your neck with a unique product. If we talk about Murano glass wholesale, ours is a leading company in its production and sale and this is certainly not a coincidence, because in our philosophy Venetian traditions are put over anything else, the same ones we want to bring back into vogue, so much so as to make them our guidance for each and every one of the products we create. 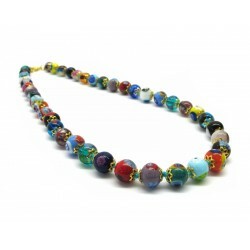 Below you can find real necklaces, which vary in shape, style, but also in colors, we must admit that on more than one occasion we decided to unleash our creativity, meaning that you'll immediately get one of a kind products, which will not only be a welcome gift, but also truly improving anyone who decides to wear them. 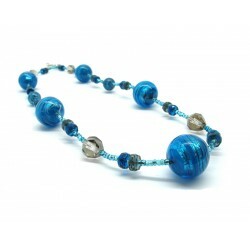 We are certified Murano glass wholesalers, and in this particular situation, you will notice that every single necklace exhibits interesting features and details which will not only allow you to make a difference, but also to show fragments of Venetian history. 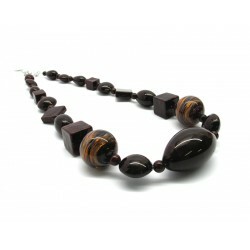 We use special techniques, so every product, once finished, will be ready to be worn and loved by every type of woman; details have always played a key role, both in those who produce them, and those who decide to wear them, but one thing is certain, with our necklaces it will be really easy to look elegant, reinforcing the true awareness of liking yourself, as well as that of pleasing others. Our goal is to create products which don't go unnoticed, after all we have learned in these years all the secrets of Venice, the true homeland of the glassmaking tradition, which leads us to create small works of art with blown glass, in short, the real distinctive signs dedicated to those who love the beautiful and know how to appreciate actual authenticity. 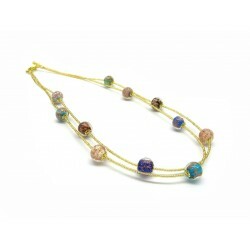 Choose our necklaces and wear a piece of Venetian history. Necklaces There are 36 products.